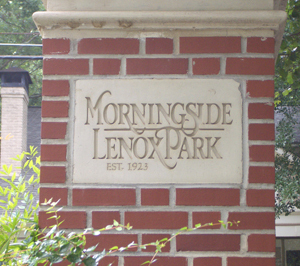 Morningside was first developed in 1923 following the success of the Virginia Highland neighborhood to the south. Development of Virginia Highland began two decades earlier than Morningside when the Atlanta Streetway Rail Company extended a trolley line to the area from Five Points in downtown Atlanta. In fact, both neighborhoods were developed with the streetcar in mind. Morningside shares many similarities with Virginia Highland, including a preponderance of Tudor and bungalow style homes, small parks, and mini villages with restaurants and boutique shops. The shopping and bars in Virginia Highlands are decidedly more eclectic than Morningside, which has a popular farmer’s market and a 30-acre nature preserve. Callanwolde Fine Arts Center: Callanwolde is a non profit community arts center that offers workshops and classes in visual, literary and performing arts. As a facility it hosts several art exhibits along with serving as a popular place for weddings and other gatherings. The Jimmy Carter Presidential Library and Museum: Part of the Presidential Library System, the Library is a great place for field trips and cultural outings. The Library holds archives (research facility) as well as a Museum with over half a million photographs. Margaret Mitchell House: the Margaret Mitchell House is operated by the Atlanta History Center (See Buckhead). The house offers tours of the apartment where Margaret Mitchell wrote Gone With the Wind. There is also a Literary Center that offers cultural programs. Morningside Farmers Market: Every Saturday of the year the Morningside Farmers Market sells local, all organic produce. The market is open from 7:30 AM to 11:30 PM in the summer and 8:00 AM to 11:30 PM in the winter. Another attraction to the market is the chef presentations that begin at 9:30. Morningside Nature Preserve: The Morningside Nature Preserve is an area consisting of 30 acres of land that is intended for leisure and educational uses. It is a wonderful place to take in the beauty of AtlantaÕs nature even though it is located very close to down town Atlanta. Virginia and Highland Avenue: The intersection at Virginia and N Highland Avenue is one of the most popular places in Atlanta. This beautiful walking community is full of unique boutiques and wonderful dining options, and also the location of some of the best nightlife in the city. Along with the permanent charms of the area, Virginia Highland also host several art festivals each year that draw Atlantans to the warmth and charm of its community.